Jasmine flowers are renowned for their beautifully distinctive fragrance, and this soap captures the essence of that captivating scent. 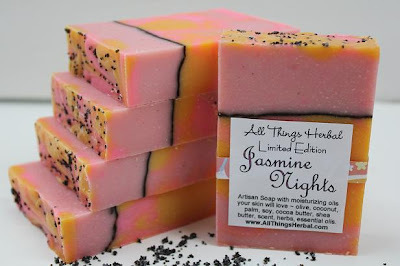 Featuring brightly colored layers in beautiful shades of stunning pink and divine orange, this wonderful herbal soap bar has the look and scent of summer - perhaps a summer night filled with the warm sweet scent of jasmine. 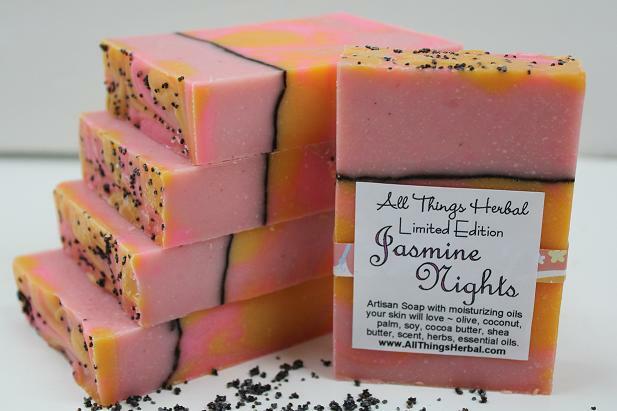 This herbal soap is carefully handcrafted with skin-loving botanicals, oils and butters with swirls of clay and a sprinkle of poppy seeds on the very top. 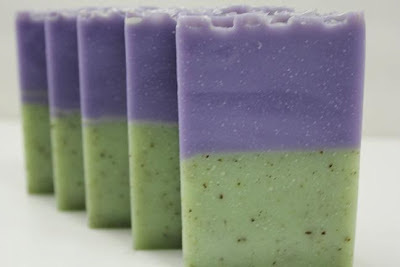 After a date with this bar, your body will look and feel silky smooth. 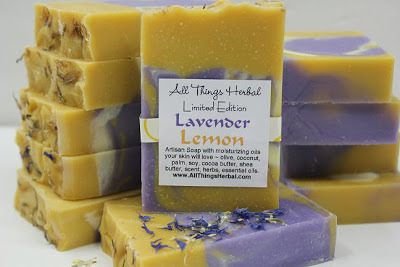 Within the stunning lavender, lemon and cream swirls, Lavender Lemon is fragranced with a garden fresh blend of tangy lemon and classic lavender, brightened with just a touch of orange and eucalyptus oils. Sooo delicious! We used our skin-loving formula including shea and cocoa butters, olive and coconut oils. And, for an extra touch, a light sprinkle of dried blue cornflowers along the top. Tangy and uplifting, you will be captivated by this bar after just one use! Our Lavender Cucumber bar is the perfect summer combination wrapped into one feel good bar of soap! The soothing aroma of lavender calms your nerves while the cool, fresh cucumber awakens your mind and senses, making for one delightful summer skincare treat. 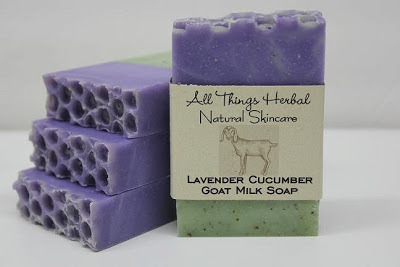 Handcrafted with our signature blend of oils, we've added creamy goats milk and fresh cucumber purée to provide a natural source of vitamins, minerals and antioxidants that helps cleanse, condition and protect your precious skin. Finally, for an extra luxurious touch, French green clay and superfine flax seeds are added, both used to help detoxify, cleanse and clarify the most sensitive of skin types, naturally. You will love the glow this little powerhouse of goodness leaves behind! They are all lovely looking and I wanna try this too! Thank you for sharing this Miss Christine.